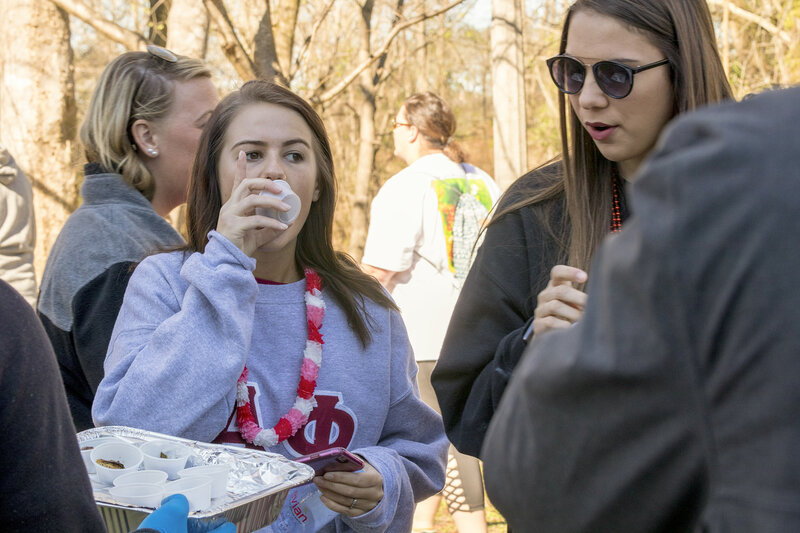 For the fourth year in a row, the College of Community Health Sciences hosted its Brussels Sprout Challenge as part of the American Heart Association West Alabama Heart Walk, held March 3 in downtown Tuscaloosa. The College again partnered with Manna Grocery and Deli in Tuscaloosa, which roasted and donated nearly 1,200 Brussels sprouts for the challenge. 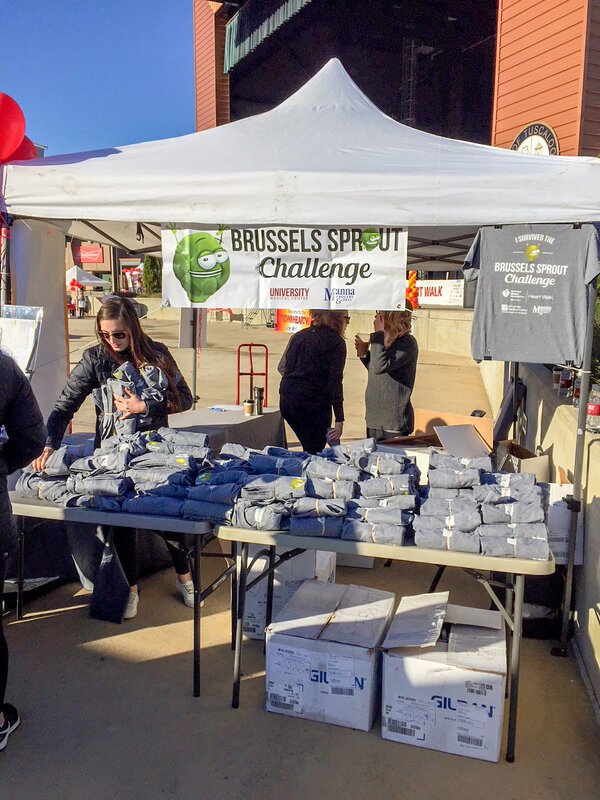 Participants of the challenge had to eat one roasted Brussels sprout at each mile marker of the 3.1-mile walk, and those who completed the challenge received a T-shirt. Brussels sprout recipes were also provided. Many participants, including children, said the challenge was the first time they had tried Brussels sprouts. The challenge complements the AHA’s mission to build healthier lives free of heart disease and stroke. The mission of the College is to improve and promote the health of individuals and communities in Alabama and the region.